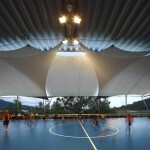 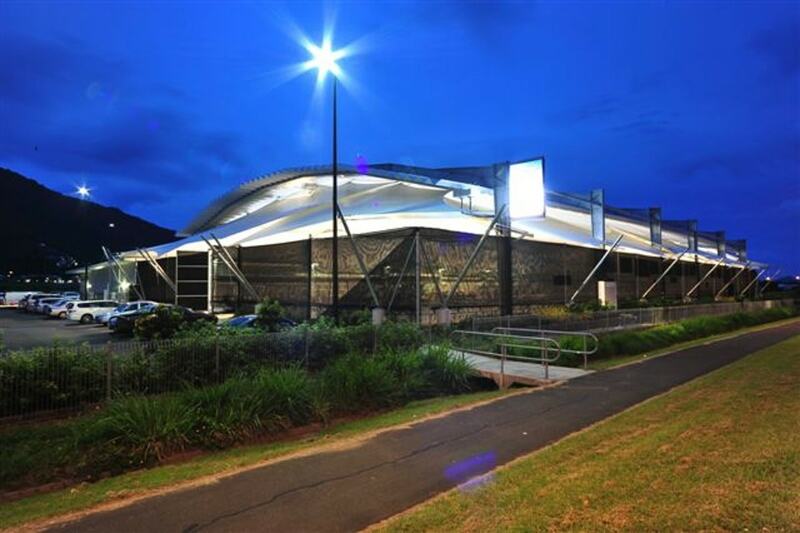 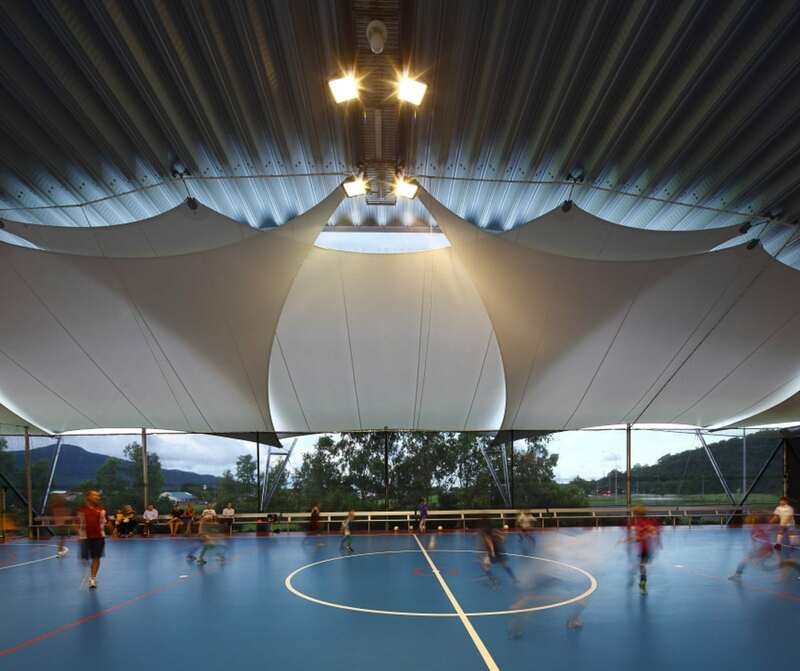 Construction of new 4000m2 – Public Sports Centre & Recreational Facility in Cairns. 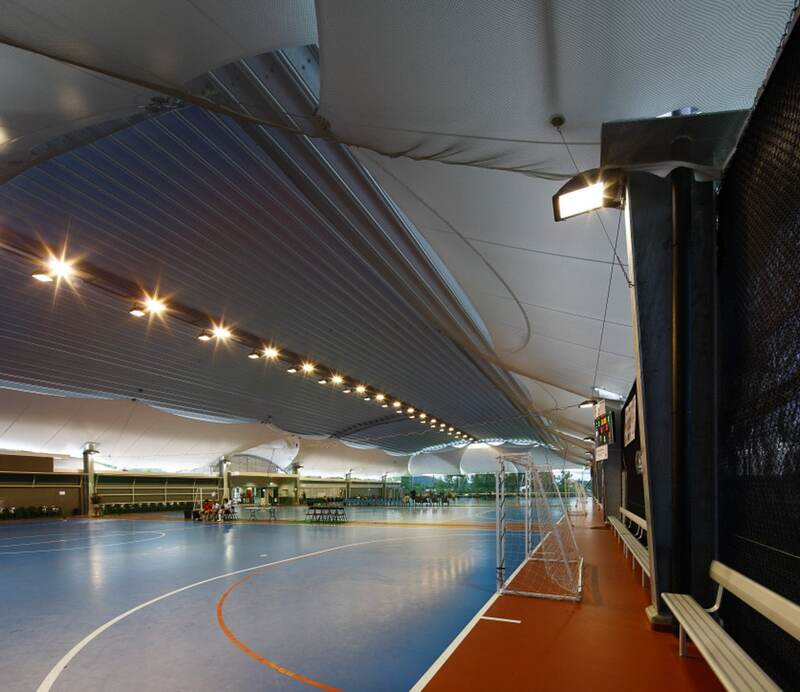 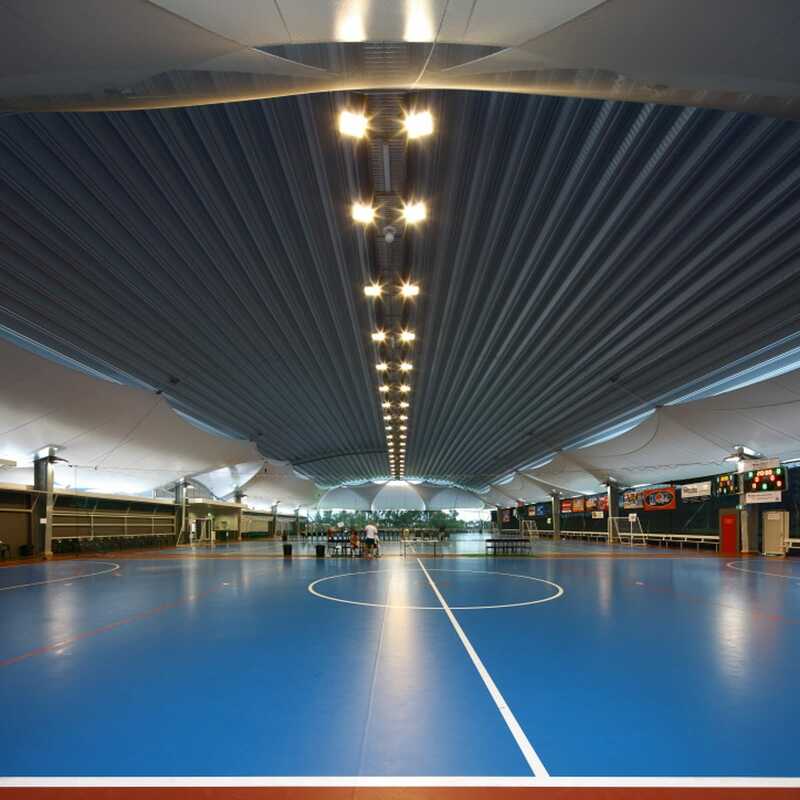 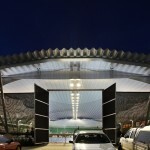 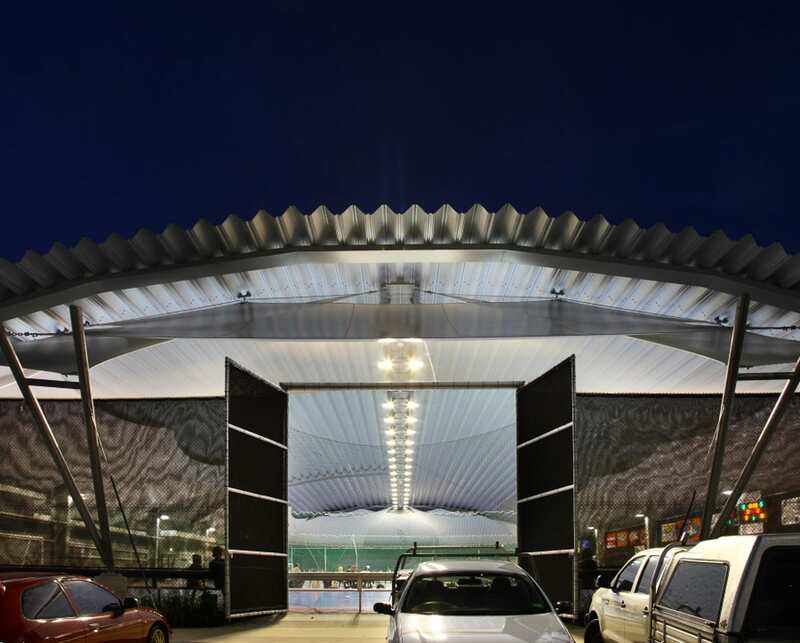 The project incorporated an “Aramax” Roof System which allowed for huge roofing spans of up to 20 metres with no purlins or girts which negated the cost and complexity of a secondary structure. 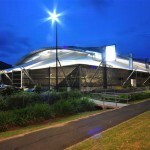 The installation of the system was unique for Cairns at the time and required custom designed network of winches to hoist the roof sections into place from the structural frame above to “suspend the roof” in place. 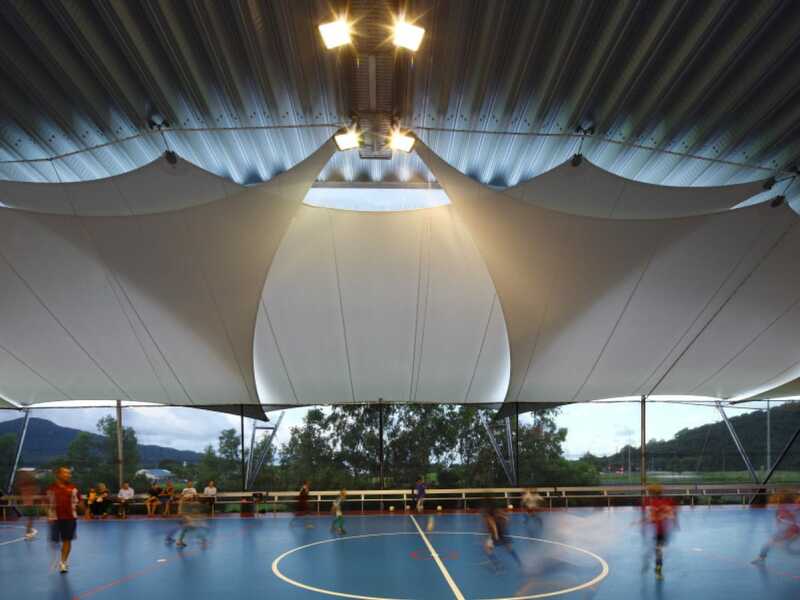 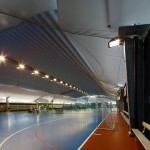 To maintain passive cooling and “openness” for the facility but provide weather protection Russell worked closely with the contractor to design & construct a series of shade sails around the perimeter of the building which have since been modified by Keir Qld to provide relief during cyclonic conditions to avoid the need for costly dismantling and erection. 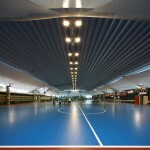 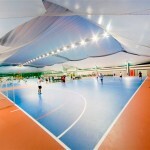 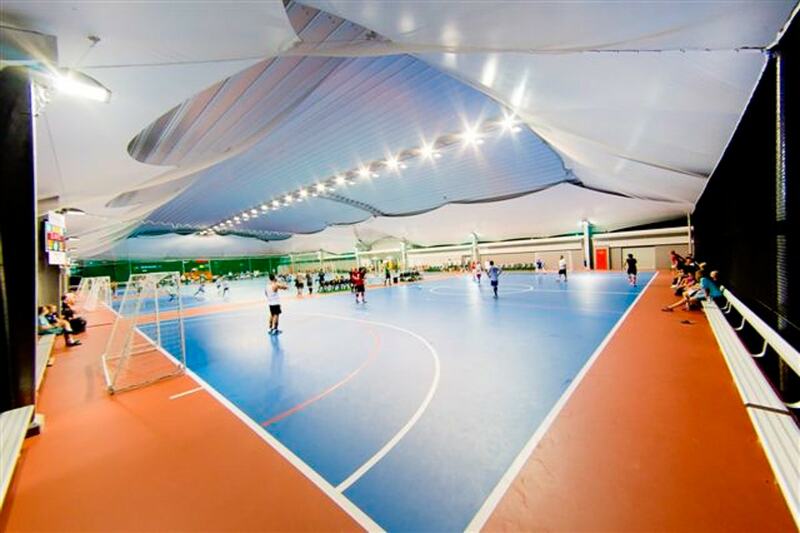 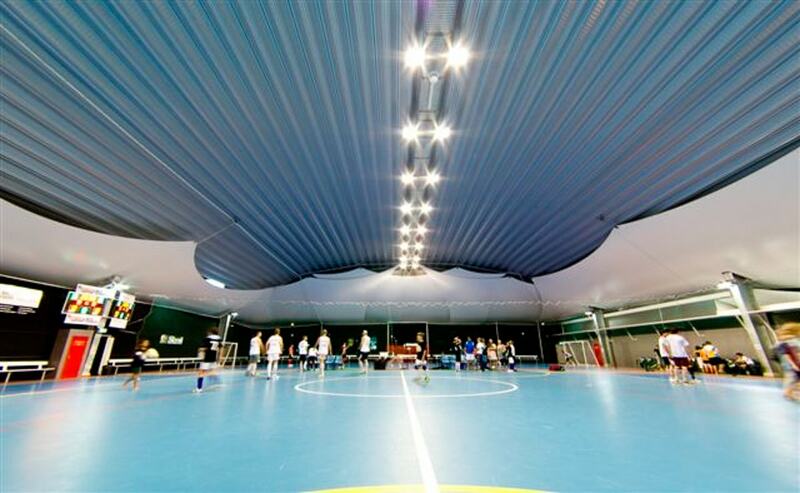 The centre now provides an important community sports facility catering for indoor sports including an International Futsal Competition.